St James' Church in Suffolk Square was built from 1825-30 on the proprietary system, whereby the money required was raised by selling shares. Each shareholder (or “proprietor”) received one or more pews in the church according to their shareholding and could rent these out to other residents or visitors to the town. The Minister’s salary and other expenses were paid by some of the pews being reserved for him and the church wardens to similarly rent out in this rapidly growing part of Cheltenham. Built largely of limestone, the architectural style is “Regency Gothic” and, apart from some external pinnacles, it has a restraint and simplicity in ornamentation in contrast to many later Victorian churches. The site was donated by James Fisher, the developer of Suffolk Square and the local architect was Edward Jenkins. The foundation stone was laid on 29th November 1825 during an economic boom but this was followed in 1826 by a financial crisis which led to the collapse of two of the largest banks in Cheltenham. The difficulty in finding subscribers for the project - and concerns about the load-bearing strength of the columns supporting the gallery - caused delays in the work. Mr Jenkins was eventually replaced by J.B. Papworth, the London architect of the Montpellier estate, who included cast iron pillars to support the roof. The final cost was about £10,500. The church was completed in 1829 but not consecrated until 5th October 1830 due to a dispute between Reverend Bonner, the first Minister, and the proprietors over the number of pews he had been allocated. 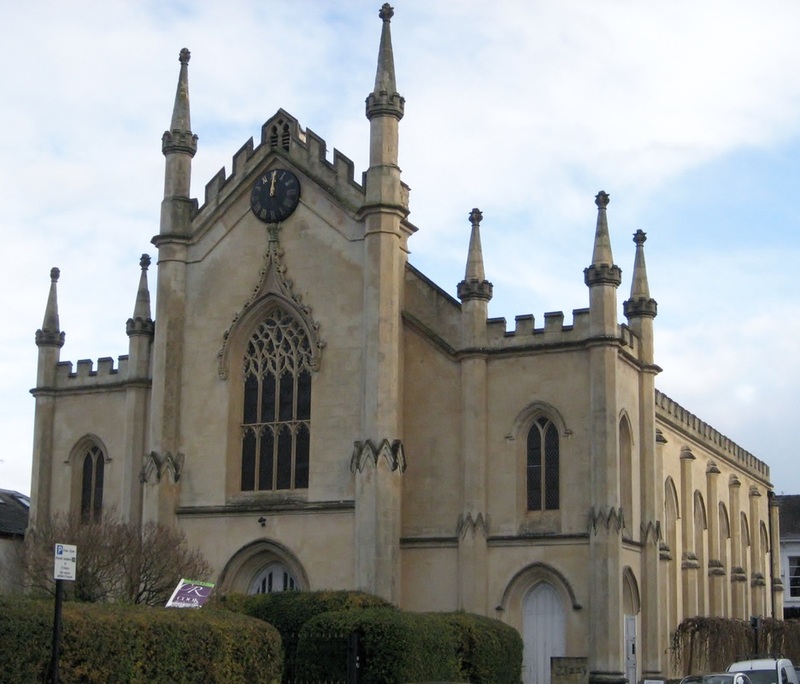 The church was successful however and by 1840 the congregation was described as “the most affluent and fashionable of any in Cheltenham”. St James closed as a place of worship in 1976 and became St Philips’ & St James’ parish hall. In about 2004 it was sold by the Church and converted into an Italian style restaurant called Zizzi.